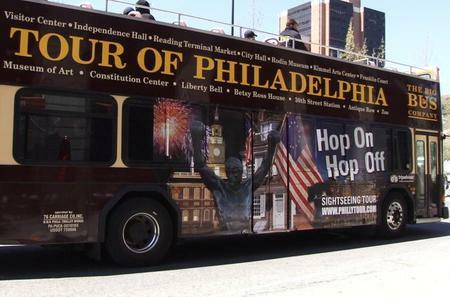 ...National Constitution Center, The Franklin Institute, Philadelphia Museum of Arts, Eastern State Penitentiary, and more. 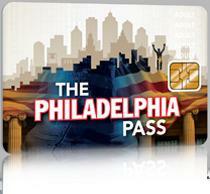 ... the National Constitution Center, The Academy of Natural Sciences OR the Please Touch Museum Save time and money too! 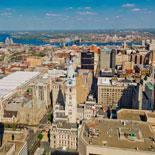 The National Constitution Center is one of the most interactive history museums in America. The National Constitution Center is one of the most interactive history museums in America. A visit to the museum begins with a performance of 'Freedom Rising,' a 17 minute multimedia presentation about the major themes and origin of the Constitution that runs every half hour. The main exhibition is The Story of We the People which showcases milestones in America's history and the pivotal role of the US Constitution through multimedia and the Living News theater performance. 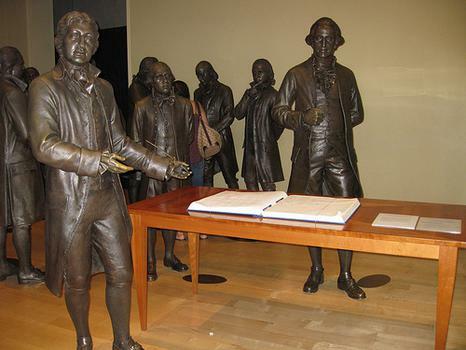 The Signers' Hall has 42 life-size bronze statues of the of the Founding Fathers present at the signing of the Declaration of Independence on September 17, 1787.